Home » Blog » Should I Sell My Assets to Pay Off Debt? Selling your assets to pay off debt can be tricky. Depending on the asset, there may be unforeseen costs. Cashing in your savings may not completely deal with your debt problems. You may, in fact, have better options to eliminate your debt without losing your assets at all. Today we talk with Ted Michalos to explore efficient debt reduction strategies when you have assets. While it’s tempting to leverage your assets to pay down your debt, it’s also in your best interest to avoid acting too quickly. Do you have the legal right to sell your asset? If you’ve leased your car, for example, you don’t have the right to sell that car; it’s not yours. Your investments may be locked-in, making it impossible to get money when you need it. What’s the liquidation value of your asset? How much cash can you generate from your asset to put towards your debts? What are the selling costs? Will there be tax implications? For example, if you withdraw money from your RRSP to pay down debt, you will have to pay taxes on the money you withdraw, netting you less to put towards debt. Selling an asset that is secured by other debt, like a car loan or mortgage, will require you to pay off the secured lender first, including any penalty costs. Will that cash be enough to eliminate your debts entirely or not? One of the biggest mistakes people make is liquidating their assets without paying off all their unsecured debt. If you can’t generate enough cash from the sale or liquidation of your assets to dig yourself out of all your unsecured debt, then you should look at other debt relief options before converting any assets to cash. Are your assets protected from your creditors? Under bankruptcy law, there are certain assets that are exempt from seizure by your creditors. This means that even if you file bankruptcy, your trustee (on behalf of your creditors) can’t take those assets. You keep them. This includes most household goods, an inexpensive car, tools to earn a living and most RRSPs. It makes no sense to liquidate these assets unnecessarily. There are even options to allow you to keep your home even if you have some equity in your house. Talk with a Licensed Insolvency Trustee before you start having a yard sale or selling off any assets if you have significant debt. Will you be using one debt to pay off another? An option many homeowners consider when they have debt is to refinance their home. They leverage the existing equity in their house to consolidate their unsecured debts. While this isn’t exactly selling your asset, you’re using one debt (a second mortgage) to pay off another debt, and you’re not eliminating your total debt problem. You’re also risking higher debt payments, as rising interest rates upon renewal will make your loan more expensive to service. Are you being pressured to act before you’re ready? Your creditors, or their collection agents, may be encouraging you to cash in your TFSA, RRSP or RESP to pay down their debt. But again, unless you can eliminate all of your unsecured debt obligations, draining savings to pay off one or two debts is an incomplete solution. Remember, your creditors act in their own best interests, not yours. Will your debts just grow again? If you refinance, can you afford your new payments or will you continue to use more credit to keep up? It’s not uncommon for someone to sell off some assets, pay down some debt, only to see those balances grow again. We’ve also seen people who take on a debt consolidation loan, only to find the payments still too high to be affordable. Rather than wasting your assets to only pay off a small portion of your debt, why not be strategic and work with a Licensed Insolvency Trustee (LIT) to pay off all your debts? File a lump sum consumer proposal and eliminate your debts completely. Let’s assume you have $10,000 in a tax-free savings account, but you owe $25,000 in credit card debt. You could make a lump sum consumer proposal to your creditors and eliminate the entire $25,000 with only the $10,000 you have. You wouldn’t be able to achieve this if you tried to repay the debt on your own without a consumer proposal. If you want to keep all your assets, including any savings, you can offer to make payments over a period of up to 5 years by filing a consumer proposal. A Licensed Insolvency Trustee will help you strike a deal with your creditors so that you would only have to pay a portion of your overall debt balance. For example, if you owed $25,000 in credit cards, a consumer proposal could lower that to $8,000. You could offer to repay that $8,000 over a maximum period of 5 years, or $133 a month. This would make your monthly debt payments much more manageable for your budget. The best part – you would still have your assets. File bankruptcy and still keep the majority of your assets, including RRSPs, a car, and even your home. Many of our clients assume that filing for bankruptcy means they will lose all of their assets. In reality that’s far from the case. Bankruptcy exemptions mean you keep most of your assets. There is even an exemption for equity in your home up to $10,000 or you could pay out any larger equity to your creditors as part of your bankruptcy payments. At Hoyes Michalos, it’s quite rare that our clients lose any meaningful assets when they file for bankruptcy. Instead, they just get a plan to eliminate their debts so that they can have a fresh financial start for their future. The key takeaway is that before you decide to sell all your valuable assets, if they won’t generate enough money to eliminate all your unsecured debts, realize that there are more efficient options available to help you become debt free while keeping what’s yours. To learn more about strategies to pay off debt when you own a home, car or registered investments, tune in to today’s podcast or read the full transcript below. 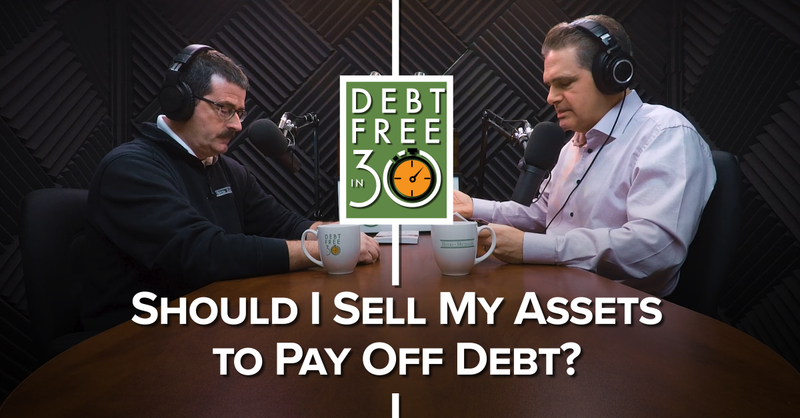 FULL TRANSCRIPT – Show 230 Should I Sell My Assets to Pay Off Debt? 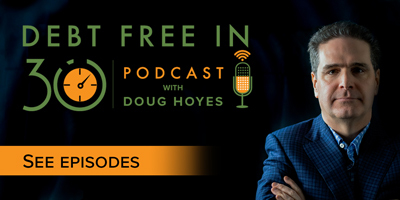 Doug Hoyes: What if you have debts? I’m talking more than just a mortgage payment. What if you have credit card debt, a line of credit, a car loan, maybe even a payday loan or two, but you also have some assets? You might have some savings, an RSP or a TFSA. Maybe you own a car or a house. Sometimes it makes sense to sell your car or house or cash in your RSP or other investments to pay down your debt, but that’s not always the wisest choice. There are a lot of factors to consider before you start having that yard sale or advertising on Kijiji or cashing in your retirement savings or refinancing your home. You want to make sure that whatever choices you’re making are going to solve your debt problems and leave you better off financially. Does it make sense to sell your stuff if you still end up with more debt than you can repay? That’s today’s topic here on Debt Free in 30. What are the best debt reduction strategies when you have assets? Now, I know our long-time listeners are listening and saying I know where you’re going with this. You’re going to talk about your favourite topic, consumer proposals. Yes, consumer proposals will be mentioned today, but the answer is not as simple as file a consumer proposal if you have debts and assets. There’s a lot more to it than that. So it’s time for our second technical tidbits edition in a row where we deal with one specific issue faced by our clients. So to do that, I’ll welcome back Ted Michalos, my Hoyes Michalos cofounder and business partner. So Ted, last week we talked about inheritances and bankruptcy. Today the question is how can you reduce debt if you have assets? Is this really just the same show all over again? Ted Michalos: They’re completely different. So last week we were talking about you filed bankruptcy and you come into a windfall, some kind of inheritance. So you’re already in bankruptcy and there are very specific rules. Today what we’re going to talk about is: I’ve got stuff that has value, equity in a house, car, investments, whatever, and I’m trying to decide what I should do about it. So bankruptcy might be an option, but we haven’t made that decision yet. So they’re dramatically different topics. Doug Hoyes: Totally different. Okay. Ted Michalos: It’s a technical term. Doug Hoyes: Well, it means everything you own, right? Doug Hoyes: An asset is something you own and obviously there’s lots of different kinds of assets. So let’s start with the most basic question. Are all assets treated the same? Ted Michalos: And they certainly aren’t. There are a number of assets that are protected under the law, but so let’s talk about it in broader terms. Something that you own. You might actually own it free and clear. So say you’ve got a car that you don’t have a loan or a lease against, you own that outright. Let’s say you’ve got an asset that’s used as collateral or security for a loan. So instead of that car being owned outright, you still owe money to somebody for it. That’s called a secured debt. If you don’t pay for it, they can take the asset. It’s not really yours yet. Doug Hoyes: And so if you have debt and you have a secured asset, well, you can’t be selling that secured asset. Ted Michalos: Right. It’s not yours. Doug Hoyes: It’s not yours. Ted Michalos: Well, and then there’s another group of assets that you may own free and clear, but they’re protected under the law. Each of the provinces in Canada has something they call an Executions Act and they basically detail what things cannot be taken from you by your creditors and it’s important to understand what those are. Ted Michalos: Well, and they’re different in every province in Canada. Doug Hoyes: Yeah. So we don’t want to be too specific but in general. So in Ontario basic household goods. Ted Michalos: Right. And so that means your basic furnishings, things you need to survive, your kitchen pots, all that sort of stuff. Doug Hoyes: What about cars? Ted Michalos: So the provinces are all a little bit different. So each of the provinces has some kind of threshold. So I’m going to use the number even though you just said we weren’t going to. In Ontario, you’re entitled to a vehicle worth up to $6,600. Doug Hoyes: And we’re recording this early in 2019. If you’re watching this in the year 2050 or something it might be different. Doug Hoyes: Although they haven’t – they don’t change the numbers every year. Doug Hoyes: It’s whenever they get around to changing it. So if you have a car that’s less than 6,600 bucks and you go bankrupt no problem, the trustee isn’t going to take it. If that car has a loan against it then what happens? Ted Michalos: Well, so to keep the car you’ve got to continue to make your loan payments. As long as you don’t have more than $6,600 worth of value in the car it’s not affected. But don’t just think about in bankruptcy. So these exemptions apply to creditors too. If somebody sues you and you’ve got a car that’s worth $5,000, they can’t make you sell the car. It’s protected under the law. Doug Hoyes: Which is what the Execution Act is all about. Doug Hoyes: So there are other ones as well. Tools of the trade. What does that mean? Ted Michalos: Yeah. So if you have something that you need to actually do a job. So a perfect example is a tradesman. I’m a carpenter. I need my saws, my hammers, my ladders to do my job. Well, they’re protected under the law because if we took all your stuff you couldn’t make any money. Doug Hoyes: So up to a certain limit they’re protected. Doug Hoyes: We’re going to talk about RSPs and home equity and some other things as we get going. So the basic point is some things are exempt and other things if they are secured, if there’s a loan against it, then you either give them back or keep paying the loan if you can’t pay it. And again, we’re talking about specifically in a bankruptcy situation. Ted Michalos: Yeah. I mean if you want to bring this back as I’ve got stuff that I own, what should I do about dealing with my debts, people obviously they think of well, I’ll sell my stuff and that’s what most people do before they call us. A lot of that stuff is protected by the law. You didn’t need to sell it and at the end of the day, it probably didn’t help. Doug Hoyes: That’s a key point. You didn’t need to sell it, so. And in fact, most of the bankruptcies that we deal with, the people don’t lose anything. Doug Hoyes: There you go. There you go. Ted Michalos: – or found a different strategy. Doug Hoyes: I knew we’d get to proposals eventually. It wasn’t even in the script yet. Doug Hoyes: There, we got to it soon. Okay. So the most obvious asset that I see being drained if you want to use that term is an RSP. Ted Michalos: Yeah, it’s the biggest mistake people make. Doug Hoyes: And the reason they do that is because well, I can turn it into cash. Ted Michalos: Well, and because the creditors, often they suggest it. Well, we see you’ve got money in a retirement savings plan. If you cash that out, you could pay us off. Doug Hoyes: So I mean the classic case I see and I see this all the time, I’m sure you see it all the time too, you know, somebody comes in, they’ve got $40,000 that they owe on, you know, credit cards, bank loans, taxes, payday loans, whatever, unsecured debt which is what you’ve already explained, and they’ve got 50,000 bucks in an RSP. So seems like a pretty obvious answer. Well, okay, cash in the RSP, pay off the debt, bing, bang, boom, we’re good. What are the flaws with that strategy? Ted Michalos: Okay. So the first mistake is if you take $50,000 out of your RSP as one big lump sum, the tax that you’re going to take on removing it is huge. Doug Hoyes: You pay taxes. Ted Michalos: Yeah. And we can go through what those specific thresholds are if you want. Maybe that’s useful information. Doug Hoyes: Yeah, I mean the … And these are all federal limits, so it doesn’t matter what province you’re in. So if I take out 5,000 or less? Ted Michalos: It’s ten percent tax. Doug Hoyes: And then between five and 15,000? Ted Michalos: Twenty percent tax. Doug Hoyes: And over 15,000? Ted Michalos: It’s 30 percent tax. Doug Hoyes: Thirty percent. Now, if I take out 100,000 bucks from my RSP and I also have a job where I’m making $100,000 a year, I’ve paid 30 percent tax on that RSP when I – a withholding tax. Doug Hoyes: What’s my tax hit? Ted Michalos: Well, you probably, because of your income, are in the 47 percent tax bracket so you’re short 17 grand of taxes on that 100 grand you took out. Doug Hoyes: – when you file your taxes. Doug Hoyes: This is a problem. Ted Michalos: Well, and that’s a – I mean that’s an obvious answer but the one that actually gets people is when they take out that $5,000 and the government holds back 500 bucks and you’re already making 50 grand. They should have held back 25. So suddenly, you thought you did the right thing and you got a $10,000 tax bill that you can’t pay. Doug Hoyes: Yeah. You pay tax at whatever your marginal tax rate is. Doug Hoyes: Which is the tax you pay on all of your income, not just on one piece of it. And it’s very common that okay, I need some money, I’ll go take 5,000 bucks out and then two months later I’ll take another five and two months later I’ll take another five. Ted Michalos: Well, and in fact, there are planners that’ll tell you to do it that way, so you reduce the amount of tax they take which just gets you trouble. Doug Hoyes: Yeah. All you’re doing is setting yourself up for a huge tax bill at the end of the year. Ted Michalos: Well, and there’s another hit to this one. So let’s say the creditor convinces you to take 5,000 bucks out of your RSPs to make all the payments that you’re behind. Well, you still have the rest of the debt. All you’ve done is catch things up. You’re out the RSP which may have been protected under the law anyway. So you still got to deal with this problem. So now you’ve been hit twice when you’re trying to do the right thing. No good deed ever goes unpunished. Ted Michalos: Going on my tombstone. Doug Hoyes: Ted says that all the time. And so, I’m at Bank ABC. I owe them money. They say hey, we know you’ve got an RSP here, cash it in, pay us out, take it out in $5,000 increments so you get more money. So bank ABC is happy. All my other creditors aren’t getting any money and then next year I get whacked with taxes. This is a huge problem, so. Ted Michalos: Right. Well, then there’s one more angle to this. People are probably wondering well, if I got an RSP why can’t I just use it as collateral on a loan from Bank ABC. Because as soon as you use an RSP as collateral it’s no longer an RSP and so it loses its tax-free status. That’s why the banks won’t let you use it as collateral. That’s why they don’t suggest it. Cashing it out is great. You pay the tax. Borrowing against it can’t be done. Doug Hoyes: Yeah. An RSP is not able to be used as collateral. Now, I know people are listening going yeah, but okay, it’s now we’re coming into the spring if you’re watching this when this came out and there’s going to be all these ads, borrow to put money in your RSP, we’ll give you an RSP loan. There really is no such thing as an RRSP loan then, in the sense that there’s a car loan or a mortgage. Ted Michalos: Right. It’s just a marketing gimmick. So we’re going to lend you money and we’re going to strongly suggest that you put it in your RSP. Doug Hoyes: Well, and if I borrow it from the bank and I have an RSP at the bank, then they’ll just – when I get the loan, they automatically put it right in the RSP so they know it goes in there, but it’s not a secured loan in that sense. So now, we often meet with people who’ve taken out of their RSP. Doug Hoyes: They pay down their debt, but they don’t pay it down in full. Doug Hoyes: And then they end up filing bankruptcy after having wiped out most of their, you know, retirement income. Doug Hoyes: You know, obviously you’re alluding to the fact that there may be a better strategy and we talked back on podcast number 209 about whether or not you should use your RSP to pay off debt. I’ll put a link to that episode in the show notes, but in a nutshell, the tax cost of withdrawing money from your RSP means you don’t have enough money off all your debts then you should probably leave your RSP where it is and talk with a licensed insolvency trustee first. Doug Hoyes: Now, you already said that RRSPs are largely exempt in a bankruptcy. Ted Michalos: Of course, I am. Ted Michalos: It’s an amendment that they added later. Doug Hoyes: – you got to have a funny number. So they couldn’t just make it paragraph two, so they made it paragraph, you know, B.3 and it says that the property of a bankrupt shall not comprise property in a registered retirement savings plan – that’s an RSP – or a registered retirement income fund which is a RIF, or in any prescribed plan other than property contributed to any such plan or fund in the 12 months before the date of bankruptcy. So translate that into English for us. Ted Michalos: So if you haven’t made a contribution to your RSP in the last 12 months it can’t be seized. The funds are protected. And that’s for all RSPs. Doug Hoyes: All RSPs. Now, some RSPs are locked in anyways. Doug Hoyes: In which case, well, okay, it’s locked in and it’s locked in. The trustee wouldn’t be able to take it. Ted Michalos: Well, and some have an insurance component to them that they’re protected under a different law. I don’t know if we need to talk about that either. Ted Michalos: They’re not necessary. Doug Hoyes: – protected. So you lose – if you go bankrupt you lose whatever you’ve put in in the last year. So we often have people who come in, they’re on some kind of RSP plan at work. They’re putting in 50 bucks, 100 bucks a pay cheque, something like that. So anything you’ve put in in the last 12 months you’re going to lose. Doug Hoyes: So when that person comes in to see you … So let’s go back to this scenario I posed. You know, a guy’s got 50,000 bucks worth of debt and he’s got, you know … Well, I guess the scenario I posed is 40,000 in debt, 50,000 in an RSP and so you’re saying well, okay, but if you take the money out, you’re going to end up paying tax, so you won’t get the full 50. Ted Michalos: Fifty thousand, right. Doug Hoyes: In fact, you won’t even get 40 if you carry it all the way through. Ted Michalos: Still wouldn’t matter. Doug Hoyes: – still – you’re still going to lose money. So okay, what am I supposed to do then if I have some money in an RSP? It’s not enough to pay off all my debt. What are my choices? Ted Michalos: Well, so you need to think of an RSP – you can’t think of RSPs as money. It’s not something that you have. It’s money that you’ve set aside for tomorrow. So you don’t have it. It’s not there. So you need to consider your situation. Should you be filing a consumer proposal or maybe you should even be looking at bankruptcy. I mean it’s – the mistake people make is they think they’ve got this thing that they can cash out and there are no consequences. Well, it’s supposed to be for your future self. Don’t think that you own your RSP. Think that Ted 50 years from now owns the RSP and you can’t touch it. Ted Michalos: At least you’ll have that couple hundred bucks in the bank. Doug Hoyes: That’s right. So that’s – and it’s a couple hundred bucks I’m not going to be taking from you because it’s 12 months – you know, you take the bankruptcy date and go backwards. Doug Hoyes: So if I don’t make a payment this month, well, then I guess I’m only going to lose 11 months payments if I delay the bankruptcy. So there is some planning points there in terms of timing. Most people aren’t going to wait a year to file because of the 50 bucks they’ve been putting in, but there may be some advantage to giving it a little bit of extra time. Doug Hoyes: So now, Section 67.1 of the Bankruptcy and Insolvency Act talks about RRSPs and RIFs and you’ve explained how that works. There’s this one-year limit. What about things like TFSAs, RESPs, money in my stock trading account? What happens with those? Ted Michalos: I’m pretty sure you’ve talked all about this stuff in your book. Maybe we should just send people there. Ted Michalos: It’s the copy that everyone has dog-eared and keeping. Doug Hoyes: That’s right. I assume you’ve all … It’s page 88, “Straight Talk on Your Money”, where I talk about a debt reduction strategy when you have assets. So and yeah, I mention TFSAs, RESPs, all that kind of stuff. So let’s see if you give the same answer as I give then. So somebody’s who got a TFSA, an RESP. And I’m giving examples of assets that are not exempt in a bankruptcy. So what kind of advice do you give people who have those types of assets? Ted Michalos: Well, so you’ve got to assess what the value is of those assets, but if you’ve got $10,000 in a tax-free savings account and you have $10,000 worth of debt, if you file bankruptcy, we’ll cash out that tax free savings account, so you should just cash it out yourself and pay off the debts. Ted Michalos: There’s no reason to involve a bankruptcy just like because the asset isn’t protected. Doug Hoyes: Yeah, you’re losing the asset anyways so why have a bankruptcy on your record and not have the asset. It doesn’t really make any sense. Ted Michalos: RESPs a little more complicated because again, you’re setting aside money for your kid’s future. So if you can, I strongly recommend proposals over bankruptcies when RESPs are involved because the penalty to your children is too great. Doug Hoyes: Yeah. And we’re talking registered education savings plans what I mean by RESPs which is money you’ve set aside and there are some complications to that as well because even if you were to go and cash it out there are fees that might have to be paid. Ted Michalos: There’s a tax hit. Doug Hoyes: And then there’s a … Yeah. It’s not so much a tax hit as you lose the grant that has been put in by the government. So yeah, it’s essentially you’re – you don’t get it all. If you got 10,000 in your RESP, you don’t get 10,000 back and there may be a tax hit as well. If the plan has increased in value, then there may be some gain. So much better. And the other thing that I also see fairly frequently is that the RESP is held by both parents. Ted Michalos: Right. Which complicates things. Ted Michalos: Yeah. You’re going to need it soon. Doug Hoyes: – contributing for many years, you’re going to need it soon and it’s got more value, that’s definitely where you want to be getting some advice from a licensed insolvency trustee first. So you know, stocks, I guess, I mean there’s some tax implications there if you cash them in, but you’re going to lose those in a bankruptcy as well. Ted Michalos: Yeah, you’ve got to look at your return on investment, what kind of gain you’ve had on the stocks. Are you actually going to sell them at a loss? I mean that there’s – it’s not a simple, straightforward calculation. But if it’s something you’re going to lose anyway then it makes a certain amount of sense to cash it out before you consider bankruptcy. Ted Michalos: So I just want people to consider RSPs as not something that they own. Just ignore them. It’s not an asset that you have. You put the money in it and the money’s gone until you draw it down in the future. Doug Hoyes: So that makes it simple. The other things … So stocks in my stock trading account. Ted Michalos: Okay. So I’ve got cash there. I’ve got debts. I’m going to lose these to either my creditors if they sue me or if I file bankruptcy, so it probably makes sense to cash them out and pay off the debt. Doug Hoyes: And but there could be a tax implication to it. Ted Michalos: There certainly could be, yeah. Doug Hoyes: If you have capital gains then there may be taxes to pay, although I guess if you’re going bankrupt then that becomes less of an issue if they’re cashed out. Doug Hoyes: So the thought process then is how much is there, how much would I get if I cashed them out, how much tax hit would I have to pay and then based on that is it enough to clean out my debt. So let’s say I do that math and all my stocks in my stock trading portfolio, if I sold them and paid the capital gains tax or whatever on it would come to 25,000 bucks and I’ve got $50,000 worth of debt. Ted Michalos: Okay. So let’s go back now to the consumer proposal. Doug Hoyes: Okay, good. I was hoping we’d get to that thing. Ted Michalos: Because you’ve got to remember, folks. The idea behind a proposal is you’re saying to your creditors I can’t repay all of my debt, I’m going to repay a portion of it. Well, so they will be entitled to all that money in a bankruptcy. You know, offer it to them in a proposal. You’re not filing the bankruptcy. The creditors get the same amount of money. They’re relatively indifferent to that. I mean they want the money. They don’t want to penalize you by forcing you into bankruptcy. They just want what they’re entitled to. Doug Hoyes: So in my example, I’ve got $25,000 worth of potential there. What would the proposal be? Ted Michalos: We have to determine what a bankruptcy is worth, and you offer your creditors that same amount, but probably we’d be offering them $25,000. Doug Hoyes: So if there were no other assets, if you had no other surplus income, no other complicating factors then it could be as simple as okay, I’ll cash in the investments and I’ll make a lump sum proposal. Ted Michalos: Right. And folks, we can’t stress this enough. So if you cashed out those investments and got the 25,000 and paid down the debt, you still have 25,000 more in debt that you’ve got to deal with and now you’ve got no means of doing that. By offering the proposal even though you’re offering them less than what you owe them, that’s the amount of money that they’re going to recover if you exercise all your rights under the law. So it actually makes sense from the creditors’ perspective too. I mean there’s no fight here. You’re voluntarily saying I’m going to give you what I have to give you. Doug Hoyes: Now, I could go either way with that then. So I could say I’ve got this money in my stock trading account and maybe it’s – you know, it’s sitting there at my brokerage company and it’s worth 25,000 bucks. So I could say to the creditors, I’m going to do a proposal. I’m going to cash it in, give you the 25,000 bucks. I know I owe you 50. Take it or leave it. They’d probably take it. I could also though say well, if I went bankrupt you get 25,000. I’ll give you the 25,000, but I’m not going to cash in my investments to do it. I’ll do a proposal over a period of five years where I’ll pay you, you know, I don’t know, whatever that is a month, you know. Ted Michalos: Yeah, 400 and 12.50 a month or something. Doug Hoyes: – math there. So what should I pick? I guess part of it depends on what I think that investment’s going to do. Doug Hoyes: You’re taking a big risk though too if you leave it in there. Ted Michalos: Yeah, but what you’re really doing now is you’re falling back on before you make any of these decisions you should be talking to a licensed insolvency trustee. All of these options are beyond the average person’s ability because you don’t deal with this every day. Come and see somebody like you, somebody like me. This is what we do for a living. We’re back to, you know, if you have a sore tooth you go to the dentist, you don’t go to the hairdresser. Ted Michalos: You should call us anyway then if you’re into Bitcoin. Doug Hoyes: Yeah. Nobody made money in 2018 on that investment. Doug Hoyes: So you may be better off to cash it in and cut the risk as opposed to holding onto it, agreeing to pay $412.50 a month for the next five years only to see that your investment is going down in value. So now, one more point I want to go back to and that was RESPs. Ted Michalos: Yeah, registered education savings plans. Doug Hoyes: Which are not exempt. Doug Hoyes: But in Alberta they are exempt. Ted Michalos: Yeah, each of the provinces sets their own Execution Act which are their own protections for the things that people have. And unfortunately, right now where you and I both live, Ontario, we’re offside on the law. This is a stupid law. Doug Hoyes: So that was my question. Do you think it’s a stupid law? Ted Michalos: Yes, I think it’s a stupid law. Doug Hoyes: And so why do you think it’s a stupid law? In other words, you think RESPs should be protected in a bankruptcy similar to the way RRSPs are protected. Ted Michalos: Right. So once the government made the decision to protect registered retirement savings plans, they said we’re trying to protect the money you set aside for your future self and it impacts mostly older individuals. There you’re protecting adults. Well, RESPs you’re trying to set aside money for your future – your children’s future selves. And so what we’re saying by not protecting them is the value of protecting the future of our children is less than value of protecting the future of ourselves or our parents and adversely affects single parents, single moms more than it does say, you know, a middle-aged white guy like me. Doug Hoyes: Why is that? Ted Michalos: Well, because a single mom, she’ll scrape and save every penny she can for an RESP for her kid’s future whereas, you know, I’m a 57-year-old white male. I am saving for my retirement. What do I care about an education savings plan? Like it doesn’t impact the same group of people and it’s not fair to the people that it is impacting. Doug Hoyes: You’re 57 years old. Ted Michalos: Sorry to hear that. Ted Michalos: And a perfect face for radio. Doug Hoyes: There you go. So, unfortunately, these are video too. Doug Hoyes: And I think – I mean we have already passed our comments on to the governments of the day. Ted Michalos: Yes, and quite clearly. Ted Michalos: The 12 months. Doug Hoyes: Yeah. You can’t just put a million dollars in today and go bankrupt tomorrow. There’s this 12-month waiting period. I think we all agree that’s reasonable. With RESPs you can only put in, you know, two or three grand a year anyways. Ted Michalos: Twenty-five hundred dollars maximum. Ted Michalos: It’s the single moms. I mean call a spade a spade. They’re the ones that are penalized the most under the RESP rules. Ted Michalos: Make a change. Ted Michalos: You know I’m not likely to vote for him ever anyway. Doug Hoyes: Sorry. At the end of 2018. It was our 2019 prediction show that was show number 226 and it’s already been viewed a lot and downloaded a lot and been in the media because Ted talked about it and the media picked up your prediction that insolvencies are going to go up ten percent in 2019. Ted Michalos: I probably underestimated that, folks. Doug Hoyes: Yeah. So far, he’s tracking exactly right on that, but we’ll know soon enough. And in that show, we made the point that for the last few years nobody – and I’m exaggerating slightly – but essentially, nobody who owns a house has had to file a bankruptcy because the equity’s been so high. A house goes up in value. I can refinance it. I can sell it. I can pay it. But that is no longer the case here in 2019. We’re certainly seeing lots of evidence that outside of the Toronto area house prices are really starting to come down, particularly for things like single detached houses. Condos are still holding up fairly well. So what’s the rules if I own a house and have to file a bankruptcy? Ted Michalos: So the issue is any equity you have in the house, that’s the net worth in the house after all the closing costs, the mortgage and all those things are paid, is subject to seizure by your creditors. So they can – basically if you have equity in a house and you file bankruptcy, we need to get that equity out. 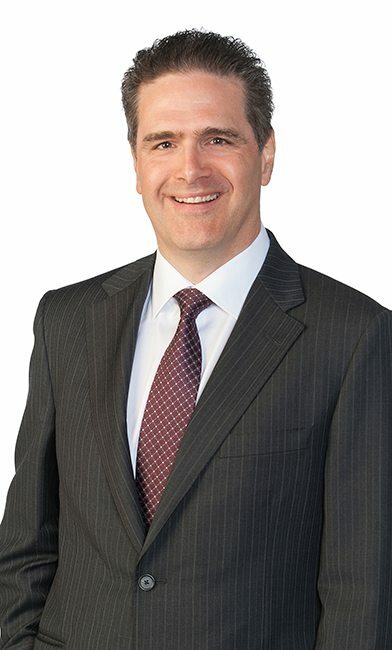 Doug Hoyes: It’s pretty much that simple and the – at the end of December our Hoyes Michalos homeowner’s bankruptcy index was at an all-time low of 3.9 percent meaning less than four percent of our clients owned a home at the time they filed either a bankruptcy or consumer proposals. We’re certainly projecting that that number will be much higher in 2019. Doug Hoyes: Significantly higher. So if you own a house right now and you have debt, then the thought process is what’s it worth. Ted Michalos: Solve the problem. Doug Hoyes: – deal with my debt. And so, if my debt is a line of credit at four percent maybe I’m not so worried about it. If my debt is a credit card at 19.9 percent, then can I borrow against it? And what are you seeing on the street right now with people’s ability to borrow against their home as compared to prior years? Ted Michalos: So literally, six months ago it was much easier to get a second mortgage or refinance your house to tap into that equity than it is now. I’m not exactly certain what’s happened in the market other than the real estate market, in general, has softened. There haven’t been any new government rules. Doug Hoyes: Right. They were at the start of 2018, but those are the rules that are now filtering through. Ted Michalos: That’s made it harder for people to buy houses. Doug Hoyes: Yeah. And you know, which then flows down to everybody else on the refinancing and everything else. So if you … You have to qualify at a higher rate than what is posted. So the house is worth less and I’ve got to be able to pay more in effect and with interest rates going up it’s really causing some consternation. I’ve heard from a number of mortgage professionals over the last two, three, four weeks that yeah, we’re getting turned down on deals that six months ago would have been good. So the ability to refinance and pay off your debts is becoming less which again comes back to the whole consumer proposal thing. Ted Michalos: Earlier this week I had, I don’t know, something crazy, ten consultations with people in trouble in one of our offices. Five of them had house equity issues. So it’s is there any way we can borrow against this equity to pay down this debt and I’m certain that in four of those five cases they will not be able to do so. Doug Hoyes: And they’ll be back. Ted Michalos: We have to find another solution. Doug Hoyes: So we’ve been talking about okay, in a bankruptcy you lose this stuff, here’s how it all works, but why does that matter if I’m going to end up filing a consumer proposal? So who cares what’s going to happen in a bankruptcy? I’m filing a consumer proposal. Why are you talking about all these exemptions and all these other issues? Ted Michalos: So for people that aren’t familiar with this topic, the idea behind a proposal is you’re saying to your creditors I’m going to repay a portion of my debt. You’re required to offer them more than they’d get in a bankruptcy and the reason for that is simple. So if you offered somebody less than they’d get in a bankruptcy why would they agree to your deal? They’ll just – they’d rather have you bankrupt. So the reason we keep talking about bankruptcies here is that we need to know what a bankruptcy’s worth. So it’s based on the assets that are exempt, things that are protected, what can be taken and seized from you in a bankruptcy. That impacts what you have to pay in a proposal. Doug Hoyes: Yeah, and people don’t like us talking about bankruptcy, but you got to understand that, so you can understand what the proposal is worth. Doug Hoyes: I mean you go to the doctor. Well, I can do the surgery, or I can do this. Here’s what happens in this one, here’s what happens in that one. And that’s really what we’re talking about here. Ted Michalos: Yeah, if you want the comparison is you can – we’ll put you on the pill regimen to solve the problem. If you don’t take the pills, eventually we’re going to have to do the surgery. Doug Hoyes: So let’s explain the implications of both. Ted Michalos: Let’s try the pills. Doug Hoyes: And then you can decide. Yeah, and obviously the consumer proposal is a less invasive procedure, right, right off the bat. Ted Michalos: Oh, that sounded very medical. Doug Hoyes: Very good, yeah. I don’t know what it means but … So okay. I think we’ve talked about what happens asset wise. So let’s pull this all together. If you have assets and you have debt which is the whole topic of today’s show, what is my thought process then and we’ve talked about the specific assets but in general what’s my thought process when I’m in that situation? Ted Michalos: Right. So the first thing you need to do is identify which of your assets are at risk, which ones are protected because if it turns out all these things you think you own are protected, you don’t really have assets that you need to worry about when dealing with your debts. Doug Hoyes: And the classic example would be the RSP. Ted Michalos: Well, and like actually, just as common, people worry about losing their cars. Well, if you’ve got a loan against your car and you’re still making payments on it, you don’t really own it. As long as you keep paying, you’re going to keep it. So it doesn’t get factored in. Doug Hoyes: Same like the apartment I rent. Well, it’s not my apartment. I’m paying a fee every month to live there, so. Ted Michalos: Yeah, same thing. Doug Hoyes: So okay. Number one, who – what assets do you have that could be seized either because they’re secured assets or because they’re exempt. What’s number two then? Ted Michalos: So number two then is what’s the liquidation value of those things versus the balance of your debt. So if you’ve got, you know, 50,000 in a tax-free savings account that you could cash out and pay off $30,000 worth of debt, that may very well be the right solution. If you’ve got 30,000 in the tax-free savings account and 50,000 in debt, well then just cashing out the tax-free savings account alone is not the right solution. We need to add another step. Doug Hoyes: And that final step would then be the consumer proposal then. Ted Michalos: Correct. Yeah. And so you start by assessing what you own and what’s at risk and then you determine how does that balance compare or relate to what I owe and then it’s all right, how many different options should I consider and frankly, I don’t think people should do this by themselves. It costs nothing to book an appointment with a licensed insolvency trustee. That’s the smartest answer. Doug Hoyes: Yeah. Like why try to be doing all this math and figuring out what the exemption limits are and how is equity calculated and what’s the realization and value of my RESP and all that kind of thing. Ted Michalos: Well, and the critical component to all of this is not being bullied by somebody that you owe. I mean the collection agencies are calling you all the time. Well, look, cash out that RSP. Cash out your tax-free savings account. Pay me today. I don’t care about the other guys. Why don’t you put 10,000 more on your Visa card so you can pay off your line of credit with me? All of that is great advice for them, bad advice for you. Doug Hoyes: Well, and you can be bullied by your bank too. Doug Hoyes: So you owe some money to the bank. You’ve got an asset at the bank, an RESP, an RRSP, a TFSA, whatever. Hmm, the bank – it’s pretty obvious for the bank. Cash that in, pay us. They don’t care about everybody else. Doug Hoyes: Whether I call that bullying or not, they’re obviously acting in their best interest. You need a plan that solves all your problems, not just that one. Ted Michalos: Right. So at the very least do homework on the internet. But quite frankly, folks, as much as people may not want to do this, talk to a professional. So if you’re not prepared to talk to a licensed insolvency trustee, I’m not sure who else is going to give you an honest answer. The bank isn’t going to. And any of the credit card companies or people that you owe certainly won’t. If you’re into those damn instalment loans they’re never going to give you an honest answer. You got to find somebody that you can trust. Ted Michalos: Well, sure they are. Doug Hoyes: – the big picture and what they will do if it gets into the area of, you know, detailed insolvency law, well then, they’ll be referring you over to someone, someone such as ourselves. But yeah, you don’t want to be talking to the salesman to get advice on how you should be dealing with these things. Excellent. Ted, I think that’s a great way to end it. Thanks for being here. So I’m going to add one final point and that’s to emphasize what you just said. There are a lot of nuances to what we just talked about here. We’ve explained the rules over whether an RSP is sizeable in a bankruptcy, but you know, again, talk to an expert before you go cashing something in because it’s always hard for us when someone comes to us after the fact and said oh yeah, two months ago I cashed this in and I paid half of my debts. Okay, we could have done something different if we’d known sooner. By law, an initial consultation with a licensed insolvency trustee is free. So it doesn’t cost anything. We don’t charge an upfront fee. It’s as simple as that. So you know, come in up front and then perhaps you can avoid some costly mistakes. That’s our show for today. Full show notes including a transcript, including links to everything we talked about today … I’ll even put links to Section 67.1 of the Bankruptcy and Insolvency Act and information on how to contact a licensed insolvency trustee for that no charge initial consultation can be found at hoyes.com. That’s h-o-y-e-s.com. Until next week, for Ted Michalos, I’m Doug Hoyes. That was Debt Free in 30.